Candace Horgan has written several articles for Climbing and Rock and Ice magazines, ranging from climber profiles to gear reviews to reflective essays. 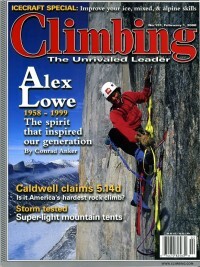 From 2002-2005, she served as the editor and writer for the American Alpine News, a publication of the American Alpine Club. 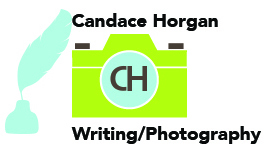 Click the images to read some of Candace’s articles on climbing-related topics, as well as a back issue of the AAN. This was a major feature that Candace wrote for Climbing, a profile of adventure goddess Steph Davis, who continues to pave the way with her pursuit of wingsuit jumps, in addition to more of her own climbing and traveling. You can follow Steph on her website, highinfatuation.com. I even got to climb a couple of pitches with Steph in the course of writing this article! This was a reflective essay Candace wrote for Climbing that was spurred by the report of a climber casualty in Rocky Mountain National Park. Candace had at that point seen several horrific falls, at least one of which had resulted in a death, and personally knew a couple of other climbers who had died while climbing. 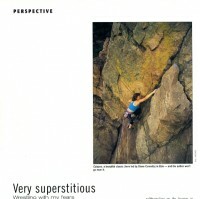 She was trying to make sense of what she felt about climbing with this article, which drew some negative commentary. 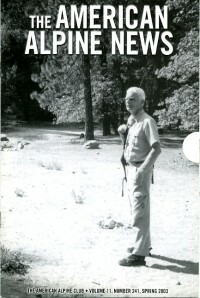 The American Alpine News was a print quarterly publication of the American Alpine Club, before it went to an online newsletter produced in house. Candace served as the editor for three years. As a side note, if you are a backcountry recreationist, membership in the AAC is worth it for the rescue insurance alone, not to mention discounts on stays at the Climber’s Ranch in the Tetons.